Having spent over 25 years in the world of financial services, as an insurance agent and then a real estate broker, in 2008 I decided it was time to try something totally new. 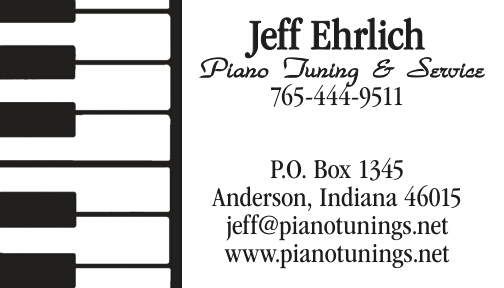 This month I am celebrating 8 years since I started tuning pianos as a full-time profession. In the early days of my venture into piano tuning, nearly everyone thought I had lost my mind. Some how it just felt right to me. So I went with my gut, and it has been the most amazing journey.It has by far the most satisfying and rewarding career move I have ever made. Not only do I enjoy working with my hands, but the musicians and pianist that I have met through my work, are by in large the most amazing group of people I have ever met. I truly look forward to every appointment and seeing the people who have become my clients. Thank you to each one of you, as you are part something that is very special to me.